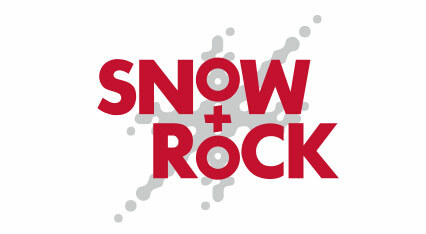 Snow + Rock sell the best equipment and gear for outdoor activities. Feel free to use this 15% voucher code off any items found on our website store. 2. Use the code when prompted to receive your forces discount. Please present a valid form of identification to obtain your discount. Please provide your address details to the sales staff quoting the code when ordering. Snow and Rock is an outdoor shop for all of your skiing, snowboarding, and climbing needs. If you enjoy being outside Snow and Rock has the right equipment for you. For skiing and snowboarding you can get all the name brand gear from Burton to K2. Their gear will keep you warm, safe, and in style while you hit the slopes on your top quality board or skis. If you prefer to take your time hiking the mountains and trails, they have all the latest gear including the right shoes, travel bags, walking poles, and much more. For those that want to spend the night outdoors you can find top of the line tents, sleeping bags, and cooking devices. In addition to all of the necessary equipment and safety gear they have stylish clothing, shoes, and accessories. Snow and Rock has expert staff in store and over the phone. They are avid users of the Snow and Rock equipment and are able to give you the best advice to make sure you are getting the right gear to meet your needs. In addition to their quality products and staff they offer many services including ski/board mounting, boot fitting, repairs, and many more. Or if you are buying online you can use one of their many sizing guides to help make sure your equipment fits right the first time. The Snow + Rock Armed Forces discount is valid for Service men and women, ex-forces, and immediate family members only. Not to be used in conjunction with any other offers or discounts. Selected lines are exempt. For personal purchases only. Not to be shared with third parties or used against business purchases.